How many of us dreamed of being an astronaut at some point when we were younger? We begged to train at space camp during sticky hot summers. We watched Matt Damon, Sandra Bullock, George Clooney, Matthew McConaughey, and Bruce Willis become galactic pioneers, at least for an hour or two. It’s something that is unfamiliar to most in reality—almost everyone, actually, now that NASA no longer sends people into space—but that hasn&apos;t stopped journeys beyond the atmosphere from captivating generation upon generation, an accomplishment once seen as the apex of human achievement. Our summers spent bouncing around in rocket simulators may not have amounted to trips to the moon, but, as a recent influx of NASA-inspired clothing proves, it has clearly lingered in the hearts’ of both fashion-minded individuals and less style-oriented clothes-wearing people everywhere. The simplest manifestation of our childhood desires is seen in the glut of space-themed T-shirts produced by the likes of Urban Outfitters and Topshop; the fast-fashion retailers are both currently providing the nostalgic masses with tees printed with NASA’s logo. 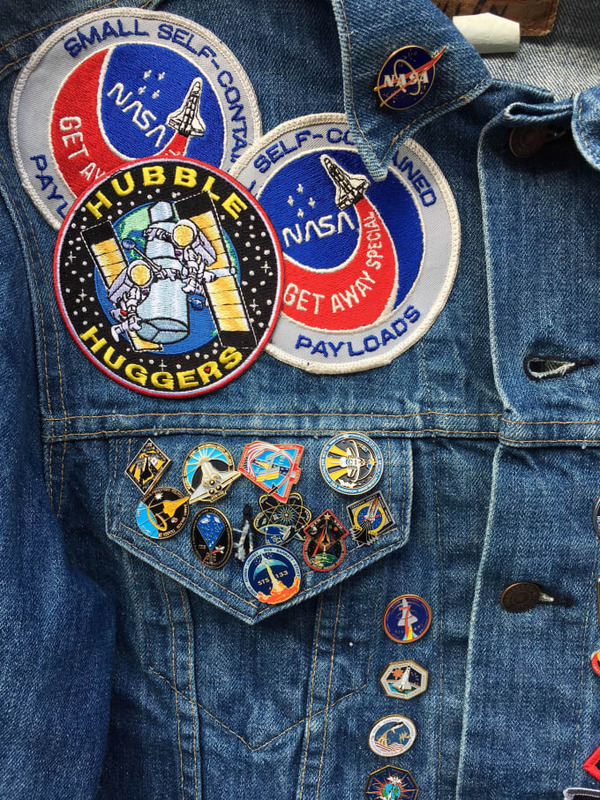 The logo has been played with by brands like VFILES, and Pintrill has used old NASA patches and pins on jackets. Y-3 is creating spacesuits that finally look like the type of apparel we were promised in every futuristic movie. 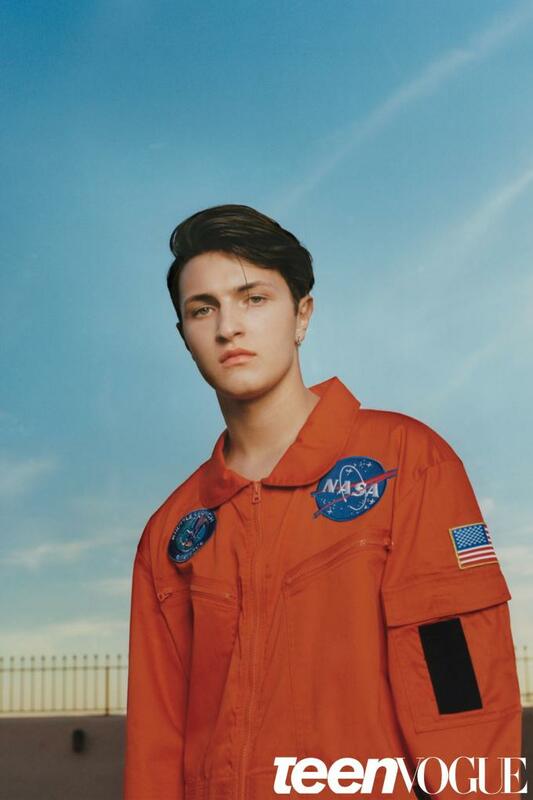 Teen Vogue&apos;s June/July cover even features Gigi Hadid&apos;s brother Anwar in a full spacesuit. In the fashion-adjacent art world, artists like George Henry Longly are exploring the themes of space exploration with an exhibit at Red Bull Studios NYC, the duo behind Standards Manual are reproducing the NASA manual, and famed architect Daniel Arsham is always up to something similar. Alpha Industries (which produced Anwar&apos;s spacesuit) worked to design a more authentic reproduction of NASA gear suitable to wear down on Earth. 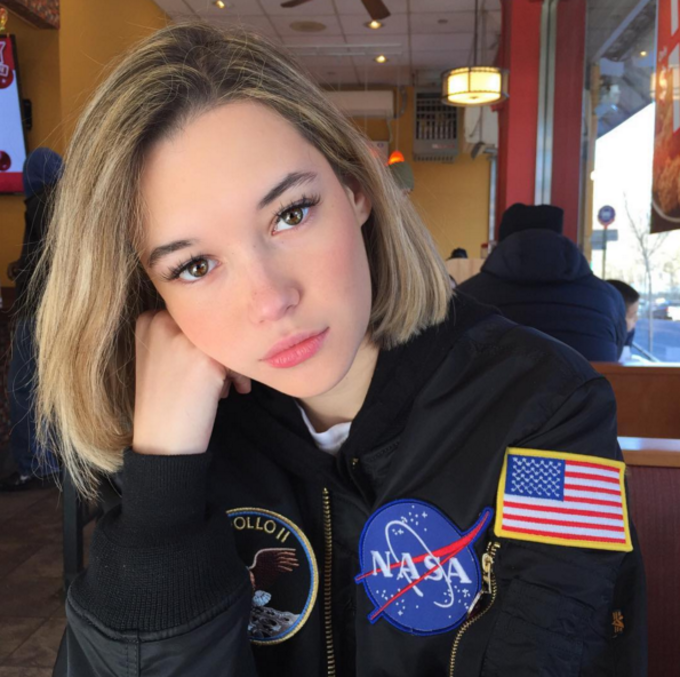 AI’s own NASA jacket, resplendent with patches for a customizable touch, was originally made in the ‘90s expressly for the Kennedy Space Center gift shop and has become especially popular lately. The gravitational pull (pun intended, of course) toward heritage clothing is, of course, undeniable. Just look at the the MA-1 bomber jacket, which started out as outerwear for pilots in the military before flying onto the backs and runways of anyone who ever read Four Pins even just once. With a similar vibe and functional design as that evergreen style, NASA apparel is appealing to people who&apos;ve picked up military-inspired clothing with an element of American history for years. And if a getaway to the sunsets and palm trees of Los Angeles is a selling point, how much more is a trip beyond the atmosphere worth in the mind of consumers? More than enough to blast NASA into fashion relevance and be the basis for the new go-to T-shirt for hipsters everywhere, apparently. After all, there&apos;s nothing quite like cuddling up with 100% cotton when it&apos;s printed with a symbol of your childhood dreams. The T-shirts are one small step, but a combination of nostalgia, heritage, and escapism is helping NASA make one giant leap toward becoming a lasting trend.